Better than steel. Better than fibreglass. Versatile and rugged low-cost-of-ownership workboats. Our aluminium-hulled workboats and landing craft are stronger, more durable and more cost-effective than steel or fibreglass boats, and are available in a wide range of configurations. 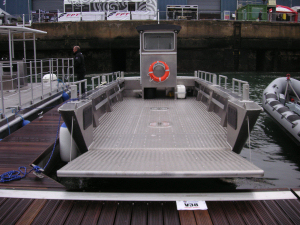 Aluminium-hulled workboats and landing craft for all uses. Robust and reliable platforms and pontoon systems. Worldwide ship repairs and specialist engineering services.